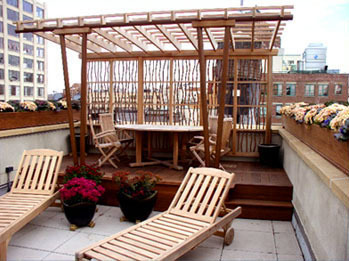 A 1950s carport style was the catalyst for this unique pergola. 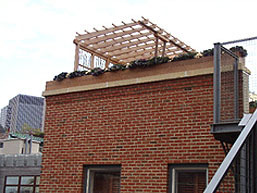 The focal point to a rooftop garden for a Tribeca apartment, the pergola utilizes copper pipe for the posts and the main beams. 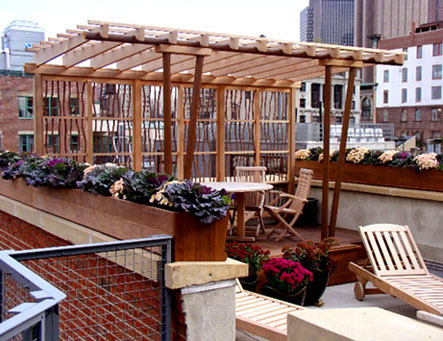 Copper was then hammered and bent to establish an asymmetrical trellis grid as a screen to the city skyline.